Coral Spawning happens once a year and is one of nature’s most spectacular and rare performances. A handful of guests at Anse Chastanet, St Lucia, are lucky enough to witness this marvel annually as the natural wonder occurs right off the beaches of this charming resort. This year (2018) it was predicted to take place from September 2nd - 3rd. Once a year, coral release millions of packets of egg and sperm cells that appear as massive underwater clouds of white and pink upward moving “snowfall”. Each year, Anse Chastanet’s scuba diving team incredibly and accurately predicts the night spawning and prepares to take novice and experienced divers and snorkellers to observe the remarkable phenomenon which turns the seas yellow and pink. It is one of nature’s most spectacular and rare performances. First discovered in the 1980's at Australia’s Great Barrier Reef, this annual mass reproduction phenomenon is now known to be critical to coral reef – and our own ecosystem’s - survival. Tropical coral reefs, although out of sight, are essential to our world-wide food chains. To book your Coral Spawning package, book our Dive Deal Package. Night Dives will be offered on Coral Spawning nights, a surcharge for each night dive of US 22.80 will be payable locally. 7 nts run of house accommodation, airport transfers, breakfast, lunch, afternoon tea and dinner, all tax/service, welcome drink and culinary amenity on arrival, 12 beach or boat dives incl of tank, weights, belt, mask, snorkel, fins ( other equipment at a charge if needed, marine park fee to be paid locally ) comp non motorized watersports. Night Dives will be offered on Coral Spawning nights, a surcharge for each night dive of US 22.80 will be payable locally. A marine park fee of US 15 is to be paid locally. The package is available to certified divers. Please bring your c cards with you. As you are aware certain medical conditions prevent you from diving. 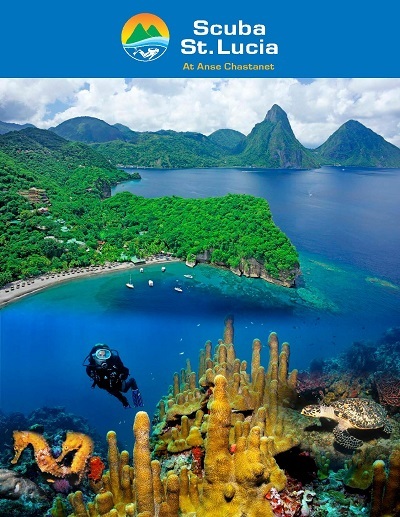 If you have any concerns, please address them prior to travel with your diving physician or contact our scuba shop at scuba@ansechastanet.com - we recommend that you study our pre -arrival scuba information which can be found here.